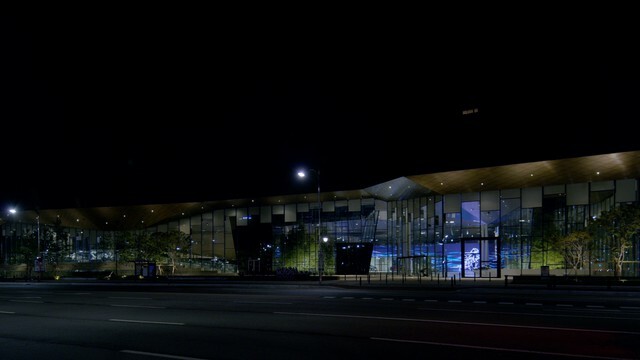 The centrepiece of Ottawa's National Arts Centre rejuvenation is a 15-meters high transparent LED media facade customized and designed by ClearLED and activated with visual content by Moment Factory. Launched in celebration of Canada's 150th anniversary, this new landmark beacon is 80% transparent with 8000nits maximum brightness, allowing natural light to filter through while displaying distinct content during daylight and nighttime. 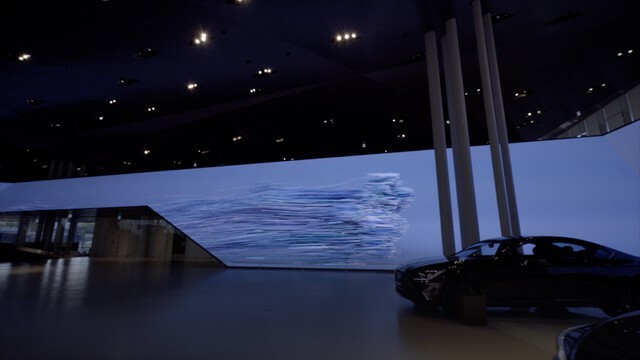 Built with four additional 11-meters high LED light blades, contents displayed can be coordinated to create an aesthetic, unique digital experience. The National Arts Centre in Ottawa (NAC) is a Canadian landmark, conceived in 1967, Canada’s Centennial year, as the premier showcase for the very best performing arts in the country. In anticipation of Canada’s 150th celebration in 2017, the NAC launched a rejuvenation project. 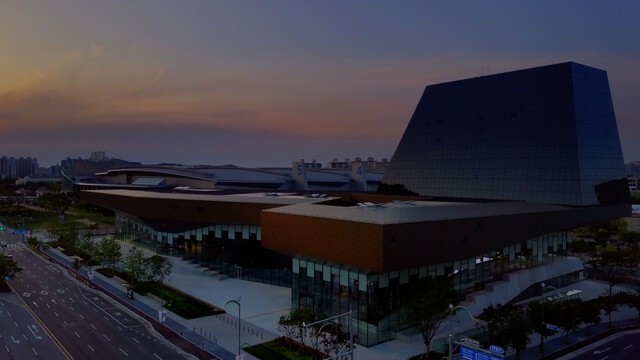 The goal of the project is to establish a marquee tower (named “The Lantern”) that extends the geometry of the original architecture into the 21st century, establishing new transparency and connection with the city. 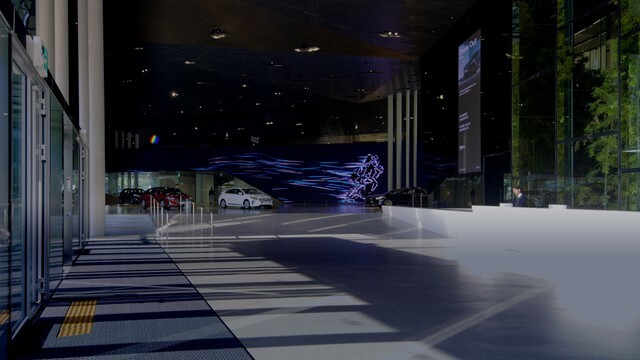 The 50-foot high lantern tower, utilizing ClearLED video wall displays and activated with visual content by Moment Factory, creates a new memorable experience that positively connects and impacts members of the public. The ClearLED transparent displays were built to be visible to the thousands of visitors to Canada’s capital. These landmark displays will become a new canvas for digital artists from Canada and around the world to showcase their work and to promote Canada’s appreciation for rich and diverse culture. 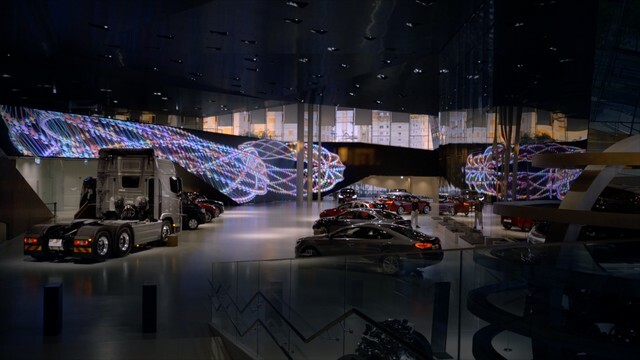 Over 400 LED panels were customized and designed to fit each section of the glass building, with over 13 uniquely customized model types. All panels were individually fit and quality-tested to mitigate problems during installation. ClearLED selected high-quality Nichia LEDs to ensure long-lasting light hours and to endure Ottawa’s weather conditions. The installation was launched on schedule, 1 July 2017, to celebrate Canada’s 150th anniversary and attracted national media coverage. The celebrations were attended by over 350,000 visitors who were able to view the stunning lantern display as an icon of Canada’s rich culture. Since then the National Arts Centre has been using this new permanent installation to show off its spirit and community support. Along with the help of Moment Factory creating unique display contents, the Lantern & Blades became a memorable showpiece that will be viewed by Ottawa residents and visitors to the capital—up to 5million per annum. Facade type and geometry (structure) : The Kipnes Lantern is shaped as a three-storey hexagonal glass tower, echoing the existing building’s geometry. Pixel distance : 16mm pixel pitch for the "Lantern"; and 6mm pixel pitch for the "Light Blades"
Urban situation : The Kipnes Lantern is intended to transform a mid-century Brutalist structure into a more open and inviting facility. The building had faced the Rideau Canal, rather than Ottawa’s downtown core, ever since it opened in 1969. One of the goals of the renewal was to move the facility’s front door to Elgin Street. Description of showreel : Moment Factory’s content framework provides a unique platform for the venue to showcase content from partners across the country, while bringing the NAC’s seasonal artistic program to life in an engaging and informative way. Images and videos are easily integrated and transformed into dynamic visuals highlighting NAC events and Canada’s diversity of talent.